You press the button of the remote over and over again, but the gate just closes up to a point and then reverses back to the open position. This is a fairly common problem that can usually be resolved without a lot of hassle. You just need to identify what causes the reversal and take the required steps to fix the issue. 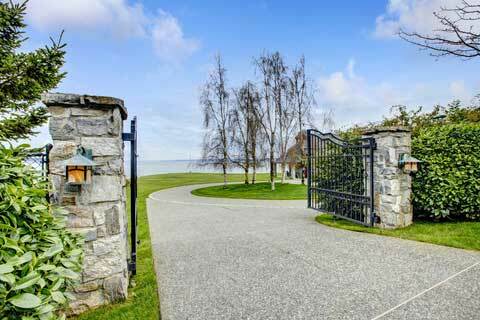 While automatic gate troubleshooting isn't always a simple process, there are some common issues you can check first to rule them out. With sliding gates, the most common cause for reversing is usually just a pebble or some debris stuck inside the track. Check the entire length of this component and remove any obstructions you discover. Keep an eye out for bending too, as misshapen track parts can also lead to such a problem. Alternatively, the problem could come from the sliding gate wheels. Check to see if there is anything wrapped around them preventing their proper movement. You should inspect the gate for damage as well, to make sure it hasn't become dented and that's what's causing the issue. Before you engage in any troubleshooting efforts, for maximum safety, you should disengage the opener, to ensure the gate doesn't start closing while you're near. If you don't have a sliding gate but rather a swinging type system, the issue may be with the hinges. Inspect them for deformation and rust, to see if the reason for the reversal is something to do with that. If the hinges seem to be in good condition, you should clean them and lubricate them, just in case. IF you don't see any visible hardware damage, take a look at the gate's photo eye sensors. These units alert the automatic opener when an obstacle is blocking the gate's path, so you should check their alignment and clean them. If the sensors use batteries, replace them. If none of these tips helped you find and solve the problem, you may be looking at a more complex issue that probably involves the circuit board. 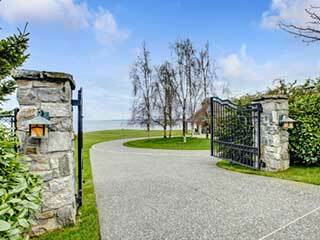 Gate opener repair may be required, and you should leave that to professionals. Gate Repair Long Beach is here to help with all your service needs, so don't hesitate to give us a call whenever you need assistance.